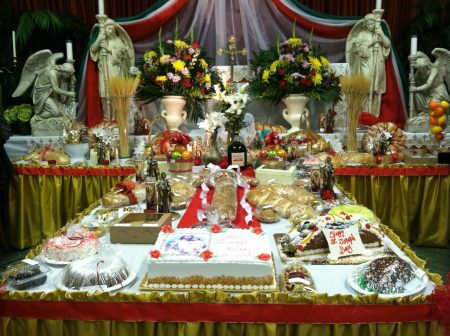 Please join us as we celebrate St. Joseph’s Feast Day with a St. Joseph’s Table. Free Will donations accepted in honor of St. Joseph. A donation of 10% of net proceeds is sent to a charity that assists Chicago’s west side families. Please call: 312.421.3757 or email: Marcia for more information. Reserve today! Volunteers Needed, please contact Antoinette (Toni) Raetz at 773.218.7088. 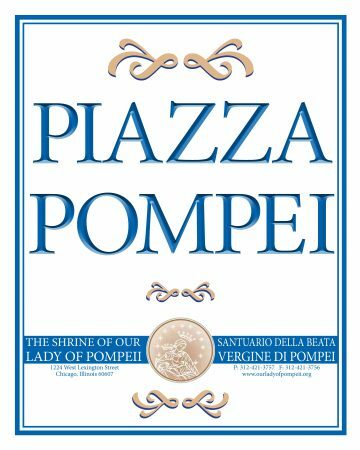 Join us for a special event at the Shrine of Our Lady Of Pompeii! Sunday, April 23, 2017, Presentation, Tasting and Book Signing! Following the 11:00 am Mass. 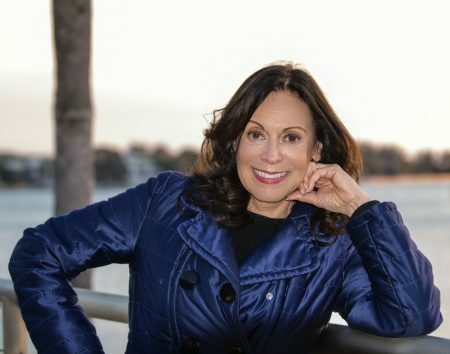 Board certified nutritionist and bestselling author, Carol D’Anca, joins us for a special presentation on the benefits of the authentic Mediterranean diet. Presenting her deep understanding of the advantages and obstacles of the Mediterranean diet, she shares personal and professional insights that will help you when considering food choices for good health. You may be surprised at what you learn as her presentation is based on a delightful combination of science and common sense. Her presentation will be followed by tastings of delicious recipes created from her book! Reservations are required! So please call or contact Marcia at 312.421.3757 or via email for reservations. Carol will sign her books, which will be available for sale, for $25.00 a copy. 20% of the sales proceeds will be donated to the Shrine!